Participate: Register your organization or business or make a donation below! Your loonies, toonies and spare change can make a HUGE difference! Options Baby Bottle Campaign lasts from Mother’s Day until Father’s Day. On or before Mother's Day, the group representative will register participants and give them a baby bottle which they can take home or keep at work in order to fill it with loose change, returning it to the representative on Father's Day. •Organizations and businesses partner with Options to impact those experiencing unplanned pregnancy. between the group and Options Pregnancy Centre. • On or before Mother’s Day, partnering organization and business members take a bottle and fill it with change, bills, or cheques, returning the bottle to the representative on Father’s Day. OR (NEW*) Donations may be made online below! Individuals who contribute $20 or more, and complete the information paper inside the bottle, will receive a tax receipt. 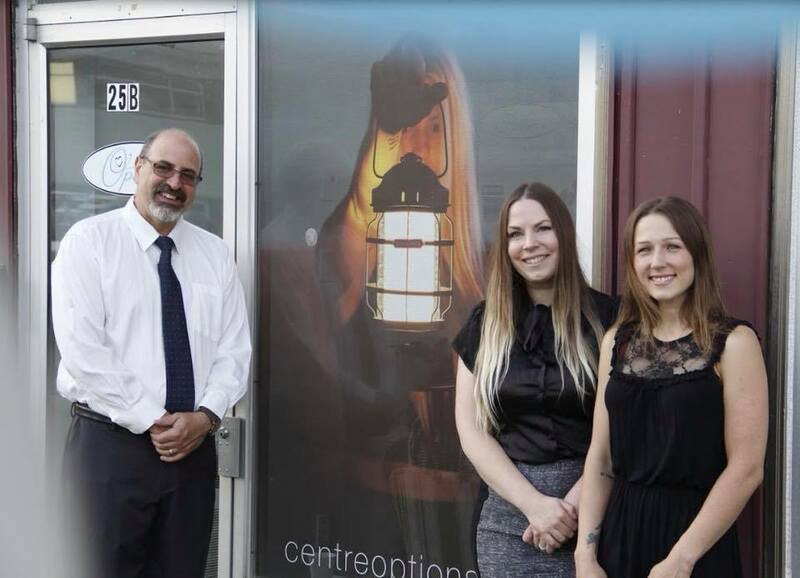 A walk-through tour of Chateauguay's Options Pregnancy Centre. Not interested in collecting change? No worries! Show your support by supporting this fundraiser anyway! It is the digital era after-all! Join Options Pregnancy Centre in providing care to the young women and families we serve. We rely on the generosity of others who believe in our mission to fund all of our services. We are a charitable, non profit organization, and all donations enable us to continue the work that is being done to enrich our community by helping young women and their families live in independence and strength. It takes a village! *Donations made to Options through Montreal Youth Unlimited will receive a tax receipt. All funds donated proceed Options programming and operations. SIGN YOUR BUSINESS OR ORGANIZATION UP TO BE A PART OF THIS YEAR’s baby bottle DRIVE! You care and want to make an impact? Join us in support of the work being done at in our community through Options! A win all around! We will offer your business (or individuals) a charitable tax receipt for all monies raised. Our annual baby bottle campaign helps us to raise funds for all Options operations: from individualized care, mental health support, pregnancy testing, medical services, workshops, Mom & Tot groups and so much more. It takes a village, and we are stronger with your support! Registering to partake in this DRIVE IS EASY! Upon completion of this forum, a team member will be in touch with you shortly, in regard to getting you supporting materials (bottles, posters, etc). Thank you for your generosity and passion for this work! *This does NOT need to be the official representative. You believe in this worthy cause, and want to do more? Here is a BEAUTIFUL opportunity to rally with us in support of young families in your community. This option commits you to an ongoing donation of 35$ monthly. You will receive a tax receipt for your yearly giving! We rely on the generosity of others who believe in our mission to fund all of our services. We are a charitable, non profit organization, and all monthly partnerships enable us to continue the work that is being done to enrich our community by helping young women and their families live in independence and strength. It takes a village! *Donations made to Options through Montreal Youth Unlimited will receive a tax receipt. All funds donated sustain Options programming and operations.